 At Songs for Teaching we believe in the power of music and the power of lyrics! That is why we include lyrics with nearly every song on our website! 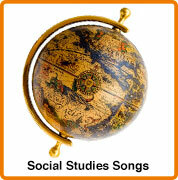 Having lyrics available can be an incredible tool for any classroom. 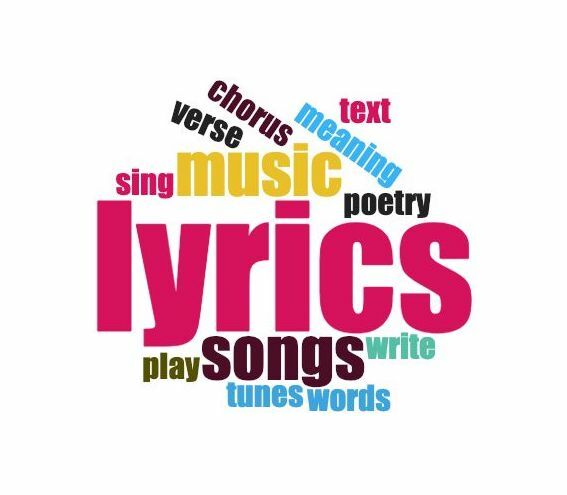 Top Ten Tips for using LYRICS in the classroom! 3. 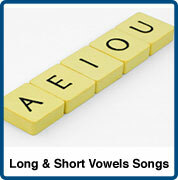 Print out the lyrics and have the children circle words that begin with a certain letter. Extend it with having the children create a small poster with the chosen letter and cutting out the sentences or words in the song with that letter. 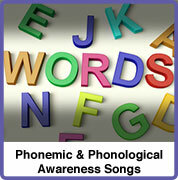 Then play the song and have the children point to the words as they hear them in the song. 4. 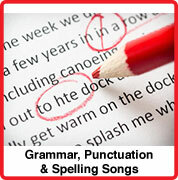 Pull spelling words from lyrics. 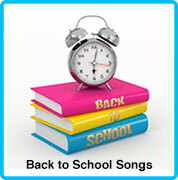 – You can start with a song and create your own spelling list OR you can start with spelling words and find songs with those words in the lyrics. Then have the children circle the spelling words. 6. 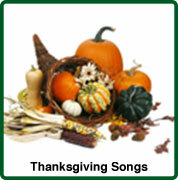 Print out the lyrics for each child and have them circle the nouns and put a rectangle around the verbs. Do the same for adjectives and adverbs or pronouns and prepositions! 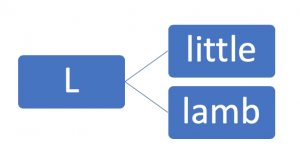 For those who dare, try diagraming sentences! 8. Make a book. 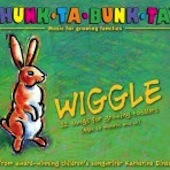 Give children the lyrics and have them illustrate the song. 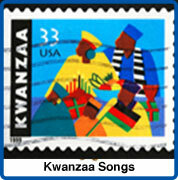 (A great one for songs like This Land is Your Land). Assemble the illustrations in to a book. 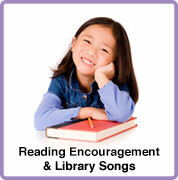 Read the books together while singing the song. 9. 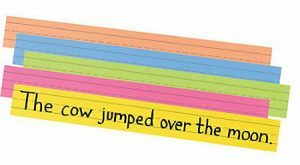 Print each line of the lyrics on tagboard sentence strips. Give each child a piece of the tag board and have them arrange themselves in order. Play the song and see if they got the correct order. The class can sing karaoke style! 10. Have a class camp out. 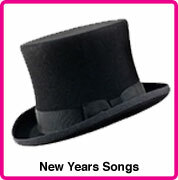 Print out lyrics to a number of songs and create a songbook. Then gather on the floor around a pretend fire and play the songs you have learned. If you don’t mind a little clean up, serve s’mores or popcorn! 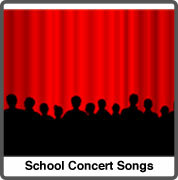 This post is from Maryann Harman of Music with Mar. This is what I think is a wonderful idea. This activity teach children what Thanksgiving means by sharing a meal – like in the book “Stone Soup” – only using a salad instead. 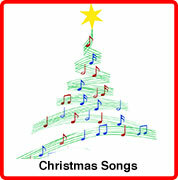 We do this every year in #musicwithmar classes and the families really enjoy it. 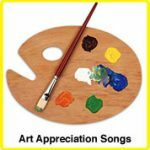 My gift on Thanksgiving to all people who work with children is a free download of my song Say, ‘Thank You.” (Right Click or Cntl Click the blue circle and select SAVE LINK AS to download your free song). 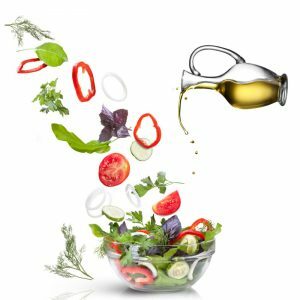 This post originally appeared on Katherine Dines blog site. Songs are extremely powerful! CAT scans have shown that all the hemispheres of the brain ignite when songs are played and people truly listen. 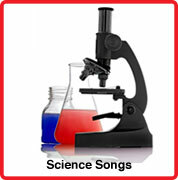 A song has three key ingredients: rhythm, music and lyrics (words). “Music” is Greek in origin (from “muse”) and once meant ALL of the arts. 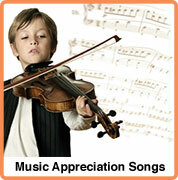 Although listening is primarily an auditory experience, a song’s rhythm is kinesthetic, and its lyrics make it visual. 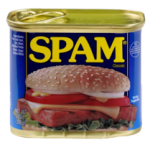 Today in our busy world, words fly everywhere through all media, and are often confused or meanings changed with spell-checks. Fleeting texts seem to lack emotion and can easily be misconstrued. Where people once had to think before picking up a pen and writing on paper, Twitter, emails and texts are often the only way we communicate. There are so many songs in so many genres that lyrically relate to so many different subjects, thousand of playlists are generated every day, and not that many people truly listen to a song’s lyric or pay attention to their meaning. To fully understand the power of song, let’s focus on three major ways they are actually used: 1) to unite; 2) to teach; and 3) to soothe. Songs that unite typically have a magical way of bringing people together. They can highlight differences, love, race, gender, culture and other societal norms. 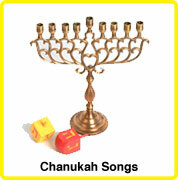 But impactful music that unites typically highlights how, in spite of our differences all humans are similar. We all experience the same stages of growth, emotion, love and pain. Our common life experiences can create a bond and relationship to a song and bring people together. An awesome example of songs uniting people from all over the world is Eric Whitacre’s emotional TED talk and “Virtual Choir” project. He held auditions and curated a 2,052-person choir to create a beautiful collaboration for his newest work Sleep, using YouTube. A project like this illustrates the beauty of sound and the skill of editing to create a masterpiece. What a way to unite people! Creating unity is a very important part of my work and of Hunk-Ta-Bunk-Ta Music. My songs are written with the intention of bringing children and families together, and with the hope of creating fun, safe and interesting ways to experience them. All The Way Around The World from “Hunk-Ta-Bunk-Ta: BOO-2” was developed with these goals in mind. 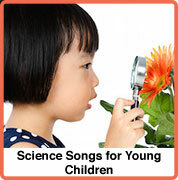 Songs that are specifically composed for children, can be created with the intention of entertaining them through active physical engagement, and can also be infused with life-lessons. 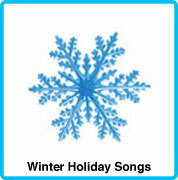 Songs can tell stories and present situations that focus on sharing, caring, listening, learning and growth. 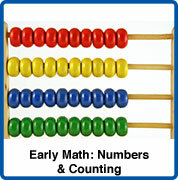 And they can incorporate early childhood skills like: learning numbers, the alphabet, animal sounds, colors etc. 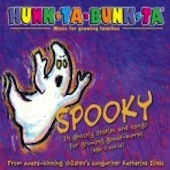 Hunk-Ta-Bunk-Ta songs like “Read A Book!” emphasize the importance of reading. It’s lyrics focus on sequencing and tell three mini-stories, and it expands the imagination and promotes a sense of adventure. This video is by the talented Patricia Shih, another children’s songwriter I know. Songs can activate people. (Pay some attention to what is being played in shopping malls or crowded restaurants. It’s usually “busy” music to get people to purchase more or eat quickly). And, it can also soothe the mind, body and spirit. 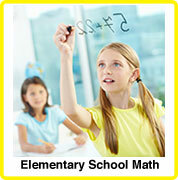 Naturally, children’s day-to-day lives are filled with lots of activity and movement. They are constantly exploring, moving and growing. Slow, soothing and calming lyrics, melodies, rhythms and instrumentation can be used to bring energy levels down and reduce stress. 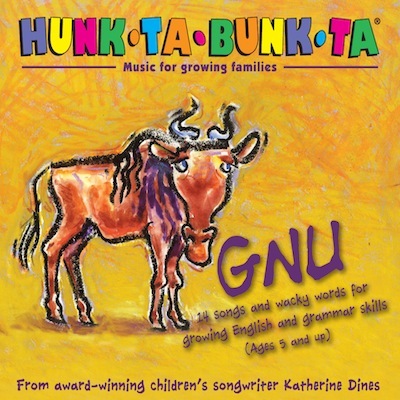 My goal with the album I created with Bonnie Nichols, another children’s songwriter, Hunk-Ta-Bunk-Ta BED was just that: to create songs for growing sleepy and slowing the mind and body down. The way a piece is performed also contributes to how soothing a particular song can be. The power of a song is everywhere! CLICK HERE to see more of Katherine Dine’s Music! Katherine Dines is an award-winning children’s songwriter, recording and teaching artist who performs throughout the world. 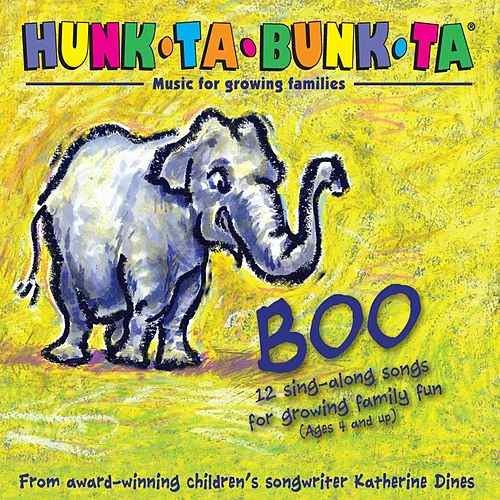 Since 1992, her Hunk-Ta-Bunk-Ta® Music has garnered numerous national awards including a Grammy nomination, while her concerts continue to captivate children and family audiences of all sizes. This post is written by August Artist of the Month, Ben Stiefel! A new school year is almost upon us. And since you, as a music teacher, teach the best subject ever, are you feeling joyful anticipation and excitement (as you should be!)? Unfortunately, many of us are feeling the opposite: apprehension and tension. The cause of these worries rarely have to do with the joy of teaching music, but rather, the difficulties of classroom discipline. If you find classroom discipline overshadowing your love of teaching, I’d like to offer up a few basic tips that have helped me for over 25 years. They’re not new or revolutionary. But they will definitely help get you through the tough times. Tip one: Each student must have an assigned seat that you can refer to on a seating chart. Whether you have your own music room, or you travel classroom to classroom, it’s imperative you make yourself a seating chart for each and every class you teach. Making seating charts on the first day of class is both time consuming and tedious. Children can potentially get restless while you’re taking names and creating your chart, but, it is vital to classroom discipline. During the school year, both well-behaved and problematic children will want to change their seats for a variety of reasons. Maybe they want to sit near a friend. Maybe they want to cause another student trouble. Without a seating chart, chaos could ensue. With a chart, you can decide who may change their seat and who may not. Additionally, children both like and need structure. A proper seating chart benefits both you and your students. Tip two: If you say it, mean it. Don’t make statements of behavioral consequences to a student unless you fully intend to follow through. In other words, don’t say, “Johnny, if you don’t stop fooling around and take your seat right this minute, I will call your parents,” without actually making the phone call. If you say you’ll do it, do it! 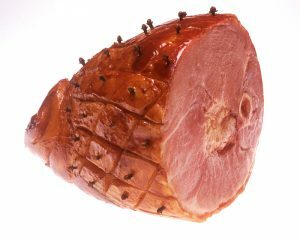 Once students get the idea that you don’t deliver on your promises, they will be emboldened to misbehave. 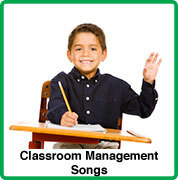 My book, “Winning Over Your Toughest Music Class K-6” is filled with ideas to calm the most unruly classes. 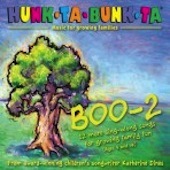 And many of my CDs, including “Just Be Cool – Follow The Rule!” and “Awesome Activities To Win Over Your Toughest Music Class” have songs, games, and stories all designed to reinforce classroom discipline in the music room. To view all of Ben Stiefels excellent products, click here!